She is a well-known Japanese cross-country skier who has made several appearances in the World Cup and Olympics. In addition to this, she has made a name in the said sport. Cross-country skiing is an outdoor winter sport that uses body movement to cross a vast snow-covered terrain. It is governed mainly by National Ski Federation and a number of other national organizations. Athletes for this type of sport has to have endurance, strong physical strength, undeniable speed, and flexibility. She has been part of international games like that HalvBirken in 2016 where the resultater (or results) was impressive where she won only by a 5-minute margin. Masako Ishida, also known as Machako, was born on November 5, 1980, in the small town of Bihoro in the beautiful island of Hokkaido. During her younger years, she studied at Nihon University. She belongs to a family of five, her father is Hiroyuki and her mother is Haruyo. She has two sisters namely Hiromi and Kaori. At the age of 37, she remains to be unmarried. She stands at 1.62 meters with a weight of 54 kg. In her spare time, when she is not busy with her athletic career, she is fond of reading Japanese Manga or cartoons. Sometimes, simply just reading a book in a sunny weather makes her feel relaxed. In addition to his, in one of her interviews, she mentioned that she also likes to cook. One particular thing about her is she likes to take care of her skin. Through the internet, she discovers and searches for a meticulous regimen for the skin. Her career in the world of skiing started when she was at the young age of six during her elementary schooling. They did a number of different kinds of sport like baseball, running and swimming. Every morning during summer, she was trained by her teacher to run for half an hour from 7:30 to 8:00. On the other hand, at the time of winter, they were trained for skiing wherein they have to ski for an hour in the afternoon. It was a rough and hard training, but this humble beginning has made her into a competitive and world-class athlete. Over the years, she continued to build her stamina and followed her passion for the sport. Eventually, at the age of 17, she was able to win an inter-high school competition. This has led her to be noticed by distinguished people that the following year, at the age of 18, she made it into the junior national team. Internationally, she started competing during the year 1998 and has been making records ever since. She made her debut in Otoneippu during the FIS race in the 5 km Classic event where she landed at the 31st place. There are three techniques for cross-country skiing. The first is the classic technique where the competition is held in prepared trails. Through this technique, it is required to push both skis forward through gliding or striking with an equipment called poles. These are usually used for balance and motion. The second technique is the skate skiing which is performed in a firm but smooth trails. 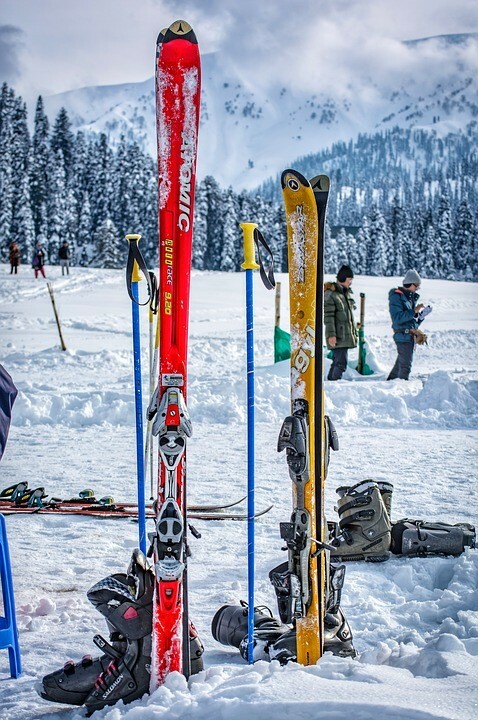 Skis are pushed alternately away from each other in a certain angle, just like ice skating. The third technique is known as the turns which are often used when reducing speeds when skiing downhill. 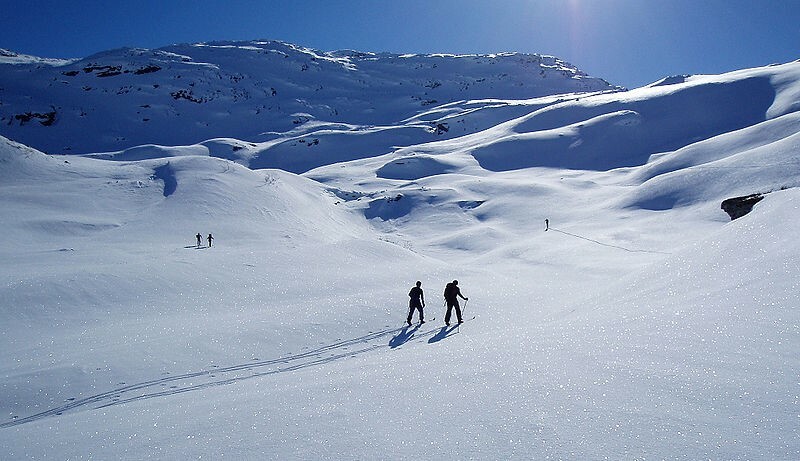 Cross-country skiing was originally used as a means of transportation before it became a sport. During the late 1600s and early 1700s, it was used to transport soldiers from one place to another through tundras all over the world, particularly in Danish countries. It was used to transport mail and other goods which could easily be kept in a small bag or package over far distances in the snow. 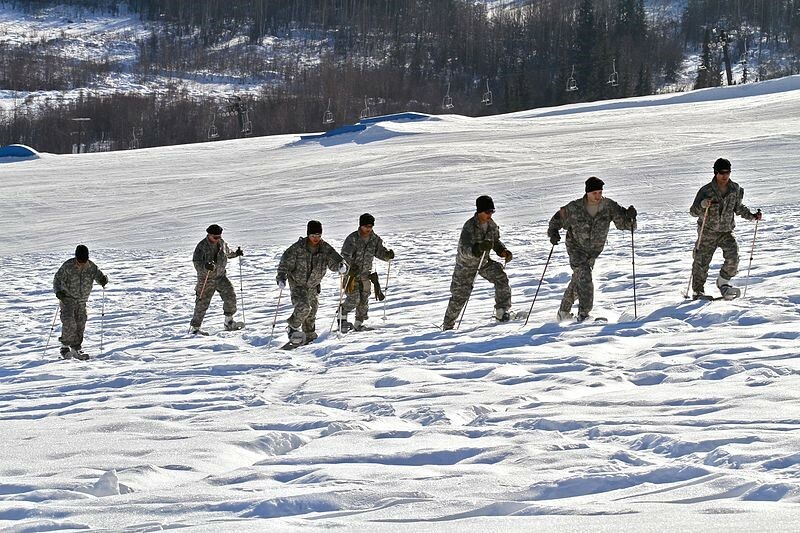 It was only in the 18th century when this recreational activity became a competitive sport where the military held skiing contests for their soldiers. Usually, they created downhill routes where competitors would race down at high speeds towards a target. It was purely a speed contest and was held only in short distances. The most important part of every skiing marathon would be the attention to the proper equipment. Ski boots of the right fit should be properly attached to the ski. The keynote is that the heel should be free and the toe is attached to the ski. There should be bindings attached to the boot which securely places the boot to the ski. The ski is light and narrow where the bottoms are smooth for easier gliding. Often it is made up of carbon fiber materials. The bottom of the skis are made with plastic and are designed for easy gliding. 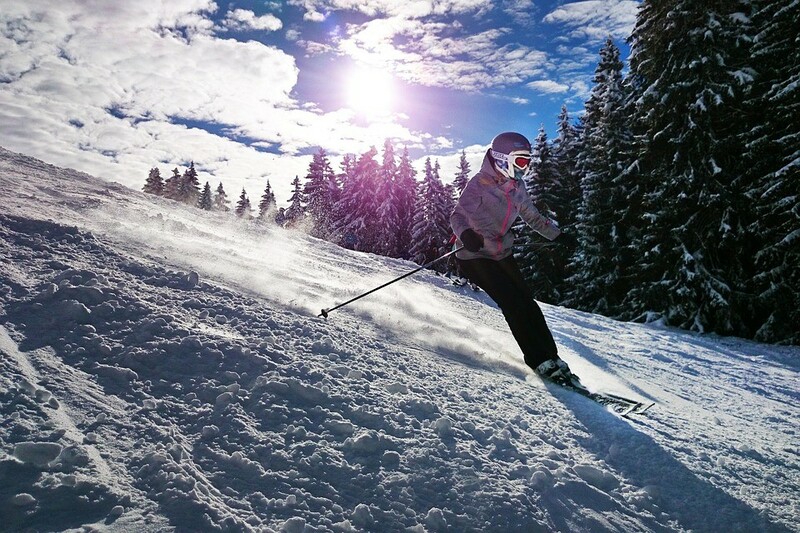 During an event or marathon, there must be glide wax applied to lessen friction between the ski and the snow. The poles are two stick-like equipment which is hand-held and is used for easier motion and balance. Often they are made up of carbon fiber, aluminum, and sometimes even fiberglass. They have a sharp tip and a stopper so that it is easy to punch through the firm snow. In the World Cup, she was able to achieve her best record at the 30 km Mass Start Classic event in Norway during the year 2009 where she victoriously took home her award as third place. It was also her first win in the World Cup and her first international competition as a medalist. In the year 2017, she bagged the third place in the World Cup that was held in Pyeongyang; particularly, in the 7.5 km + 7.5 km Skiathlon Classic event. In Pyeongyang, she became the first Japanese to gain a podium finish in the race. These wins have been memorable for her because she has gained individual podium appearances for these events. Amazingly, her overall world cup standing is at the 17th spot. In the Winter Olympic Games, her best-achieved record was in 2010 in Vancouver where she finished at the fifth spot during the 30 km Classic event. She has a total of four participations in the Olympics during the year 2006, 2010, 2014 and 2018. On the other hand, at the FIS Nordic World Ski Championships, she landed at the fourth spot in the team sprint event that was held in the Czech Republic during the year 2009. In 2000, she participated in the 15 km Classic where she finished at the 13th place. Then, in the year 2013 at the FIS Championship, she placed twice at the 10th spot. As of today, she has a total of 5 medals from the Asian games. At the 2011 Asian games held in Kazakhstan, she was at her best by winning 4 medals from the said event specifically: Gold in 5 km event, Gold in 15 km event, Silver in 10 km event and another silver in 4x5 km relay. For a period of two decades, Masako Ishida is still continuing to mark a spot in the world of cross-country skiing. Currently, she is a member of JR Hokkaido Ski Team. Furthermore, her national coach is Kozakai Hiroshi. Most athletes have very strict diets and nutrition guidelines to follow. It is one of the most rigorous aspects of their training where both mental and physical will is required. Keeping to a diet is also one of the most difficult tasks any athlete must do. However, for Masako Ishida, getting her daily dose of nutrition was never a burden. Cross-country skiing usually is a point-to-point race which could be done for more than 40-kilometers. With this length added to the slopes, jumps, and turns, a huge amount of power and energy is required. Just imagine a marathon on ice – a more difficult terrain and a much more difficult race. This is why many athletes really focus on getting energy and power from both carbs and protein without adding on too much weight. Based on an interview she had with Visma Ski Classics, she had indicated that she does carbo-loading in every one of the marathons she joined. She usually eats rice or pasta whenever she has upcoming marathons to keep a healthy weight and avoid getting easily tired or hungry. She also told the magazine that she loves sticky rice the most. She also said that it is important to gain good sources of protein for every race. However, she prefers fish over meat whenever she has a marathon coming up. This is due to the fact that it provides a substantial source of power. Furthermore, she pointed out that some sports snacks are good to fill up energy and endurance requirements for every long-distance cross-country skiing trips. She has pointed out that most events for cross-country skiing have different distances for men and women. Men’s distances can go as long as 45 kilometers while those for women can go only as far as 40 kilometers on the maximum. She has observed, through the years that she has been in the sport, that men are generally faster than women. However, the difference in speed between men and women don’t really have a large margin. Despite most events to provide different distances for men and women, there are some organizations that consider men and women equally. For instance, the Visma Ski Classics provide 45-kilometer distance events for women. Going back to her memory, she indicated that since it was her first time to do a 45-kilometer distance she felt weaker and hungry after the race. She pointed out that the race felt absolutely long. The good thing about this is the fact that this was her first time to join a 45-kilometer marathon. This means that at the time she was not specifically trained to race at that length. However, with the point that she was able to finish the race along with many other women racers, it only meant that racing at this distance is absolutely possible for women. Perhaps, there should only be changes in training styles. There should also be changes in diet and nutrition. The most important thing is that there is a possibility for women to be able to compete in distances which were believed to be only fit for men during the early rise of cross-country skiing. It is about time that views on this change as well. It is quite well-known for winter sports athletes that many organizations banned ski jumping for women. In fact, ski jumping has been clearly banned for women since the 1970s after a terrible accident involved a male ski jumper. Interestingly, it was banned even if there were already no events for women’s ski jumping beforehand. Furthermore, ski jumping was deemed to be a sport too dangerous for women with many people exclaiming that it would be too tragic to watch a woman crash if any terrible event occurs. Many people, in history, have been justifying this opinion and idea of the sport not being fit for women. There was even a statement from the early 1900s that it is preferred that women exude elegance and grace, even in sports. This is why figure skating, gymnastics, and the like are more popular with women. Every Olympic games, women had been petitioning to join ski-jumping. After all, it was the only sport in the Winter Olympics which was considered men-only. It was only in 2014, during the Sochi Olympics, that the sport was finally included in the list of women’s sports events. Masako Ishida pointed out that ski-jumping was sure to be a hit for women athletes, their fans, and other viewers. It was finally time for the crowd to see what women athletes can offer. Just like any athlete, Masako Ishida is active on various social media platforms like Facebook and Instagram. This is where she connects with her fans and updates them of her schedules and her daily life. This is a good way for professional athletes to keep in touch with their wide fan base. The good thing is that compared to other countries, there are no specific social media guidelines to be followed. This could be beneficial in many ways but can also be a way for critics to ruin their confidence and potentially their career.